The second game at PAX West this year that both Josh and I had a chance to play was Brawlout, a new platform fighter from Romanian studio Angry Mob Games. It was first shown off at the Indie Showcase at EVO 2016, and later at other events such as Gamescom and Super Smash Con. Now, at PAX West, we were able to take a closer look at it, and play it for ourselves. 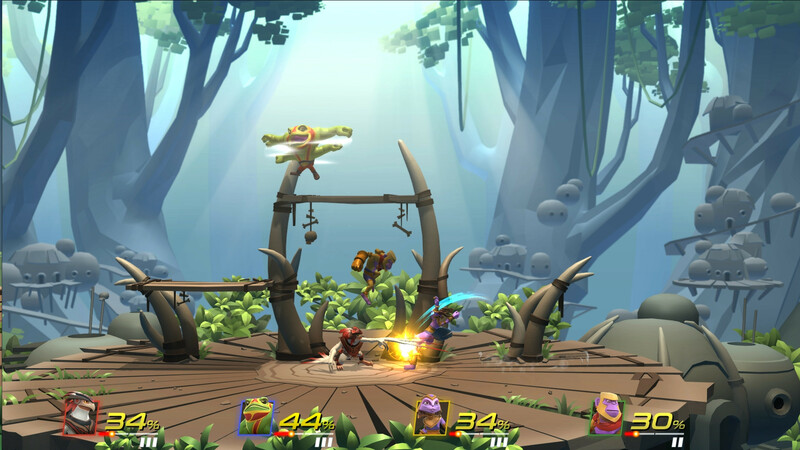 Brawlout is a platform fighter for up to eight players. However, since play at PAX was local only, the games were all a maximum of four players. That’s probably a good thing, considering there were only four different characters available and one fairly small map, it would have been difficult to see any particular thing that was happening. It plays kind of like a budget version Super Smash Bros, with a smaller variety of special moves usable by each character and seemingly no edge-grabbing to aid recovery. As a Super Smash Bros player it’s weird to adjust to, especially considering it’s possible to go off the edge using a running dash attack. Controls and movements also feel stiff, but that might also be a product of the game being still in development. 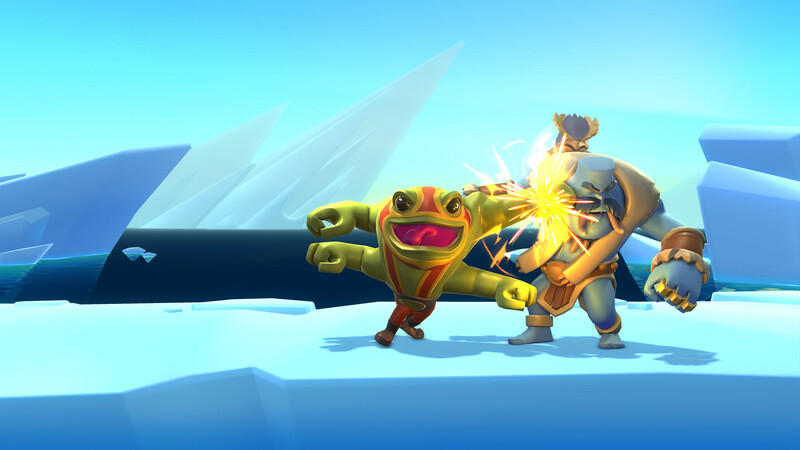 Brawlout is still perfectly enjoyable, though, and plenty of fun to play with people. With it releasing on Steam, PS4 and Xbox One, I can imagine it becoming something of a staple for people who don’t already have access to the Super Smash Bros series. For people who do, it’s something different, but the fact is it’s simply not as refined as its big brother. However, let’s go over to Josh and see what he thinks of it. It’s really hard for Brawlout to escape being related to Smash Bros. It was obviously inspired by the series, as well as by other classic fighting games. That said, I wouldn’t go so far as to call it nothing more than a Smash clone. Though there was only one stage on display at PAX, I was impressed how different each of the playable characters were in Brawlout. They each had a regional focus, such as the Egyptian cat goddess, the Nordic yeti, the Hanuman-esque monkey god and the Aztec or Inca styled bird deity. They all look very different and they all play very differently, so even if there are some rough edges to the combat, it still has a lot of potential. One thing I was happy about was how fast paced and brutal combat was in Brawlout. I was also pleasantly surprised I was able to play against some of the devs and actually get in a few wins. As far as combat, I was especially a fan of the cat goddess, who could teleport, fling sand balls to snare her prey and much more. From talking with the devs, it sounds like the game will actually have a robust single player story mode as well, which is great since I prefer single player modes to multiplayer most of the time. Another good note is they would be interested in adding more playable characters via DLC, assuming the game sells well enough. I told you not to mess with Ms. Kitty! 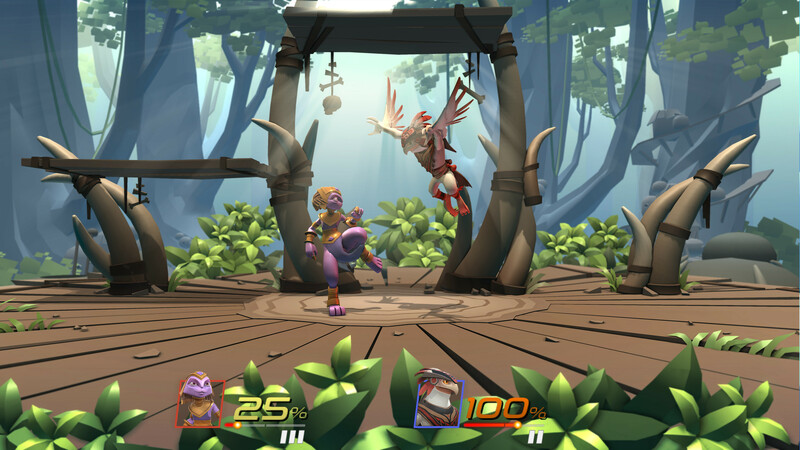 Currently it’s hard to divine exactly how well Brawlout will do, but I hope this easy to pick up and play fighter is able to get its own footing and safely navigate the critical gaming world. It’s truly a fun game, and with a little more polish and love, it could really shape up very nicely.